Yesterday there was an adjournment debate on the issue of community pharmacies. With the potential closure of pharmacies in Downley, Marlow and Marlow Bottom, this has been a source of interest for a number of Wycombe residents. It is not a zero-sum game of accepting the reduction in funding of £170 million—from a budget of £2.8 billion—and ending this degree of high street care and having nothing in its place. I strongly believe that we can still have a network of high street pharmacies based on a financial regime that rewards quality as well as volume while moving pharmacy into different settings. To that end, we have consulted pharmacy bodies and others, including patient and public representatives, clinical commissioning groups and health and social care providers, on how best to introduce a pharmacy integration fund from 2016-17. The fund will help us to transform how pharmacists and their teams operate in the community, bringing clear benefits to patients and the public. The fund is set to rise by an additional £20 million a year. By 2020-21, we will have invested £300 million in addition to the £31 million that NHS England is investing in funding, recruiting and employing clinical pharmacists to work alongside GPs to ease current pressures in general practice and improve patient safety. The integration fund will help to move pharmacy in a direction that supplements what is already done on the high street. I know that many people choose to access health services through community pharmacies, and I want to assure them that our aim is to ensure that those community pharmacies upon which people depend continue to thrive. That is why we are consulting on the introduction of a pharmacy access scheme, which will provide more NHS funds to certain pharmacies compared with others, considering factors such as location and the health needs of the local population. The Government’s public consultation on funding for community pharmacies has now closed, but confidential talks with the Pharmaceutical Services Negotiating Committee and other key stakeholders will continue. The Chief Pharmaceutical Officer, Dr Keith Ridge, has also commissioned an independent review of community pharmacy clinical services to make recommendations on future models for commissioning pharmacy-led clinical services. 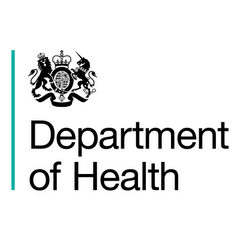 The Department of Health has committed to announce the final decisions of its consultation process in July so that the public are fully informed in advance of the changes being implemented from October 2016. I will provide another update when I have further information from the Department.